Link fighting Vader? 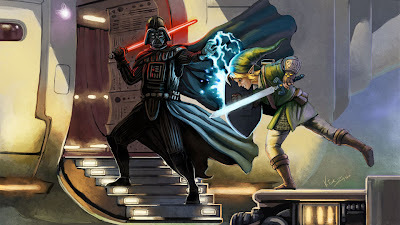 Well I guess Darth Vader can also be considered a video game character since he is in a lot of Star Wars video games....Who do you think would win in this fight? I'm betting on Link.